The Ninth Legion establishes a garrison fortress - we become Roman. Constantine the Great is proclaimed Emperor in York - we become Christian. Barbarian invasions cause the Romans to withdraw - we become heathen Angle-Saxons. The first Minster is established for the baptism of the Northumbrian King Edwin - we become Christian (again). York is sacked on All Soul's Day by a Viking army - we become Norwegian. William the Conqueror reaches York and plants a castle - we become French. Work commences on the building of the present Gothic Minster - we become very busy for the next 252 years. The Assembly Rooms establishes the craze for Palladian architecture across the country. We become fashionable. George Stephenson brings the east coast mainline through York. We become well-connected. Rowntree’s chairman George Harris coins the name KitKat. We become world famous. 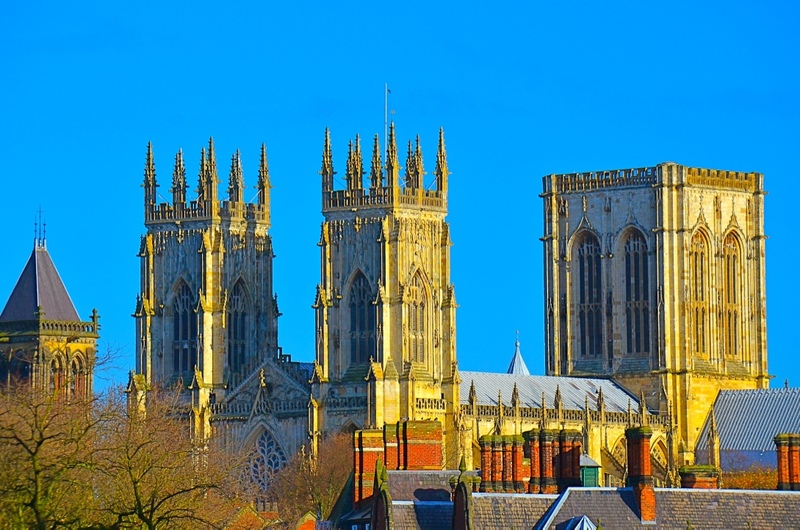 York celebrates 800 years since King John gave the city its royal charter. We wait to see what happens next.